Southern California Edison On-Call Biology and Regulatory Permitting Services Contract - Noreas Inc.
NOREAS has been assisting Southern California Edison (SCE) with an array of biology and regulatory permitting services since 2010. To that end, we have strategically assembled a team comprised of highly skilled, credentialed and experienced regulatory permitting experts, biologists, ornithologists, botanists, arborists, herpetologists, mammalogists, restoration ecologists, non-natives species control and irrigation specialists, environmental scientists, hydrologists, and geographic information system (GIS) professionals to provide SCE with cost-effective environmental solutions. 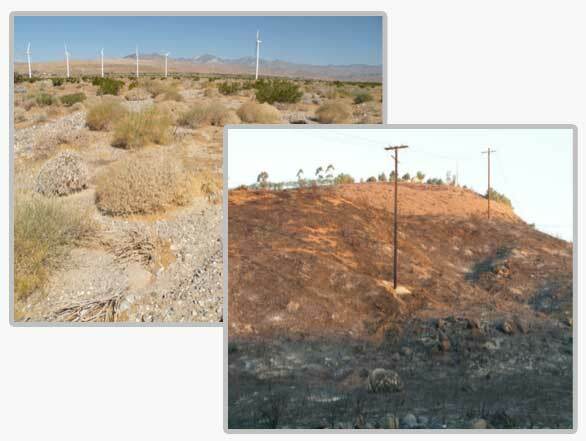 Our associates have worked closely together on numerous multi-disciplinary SCE projects of varying complexity and size throughout their roughly 50,000 square mile service territory and are proficient with the SCE Field Reporting Environmental Database (FRED). Recent SCE assignments have spanned Los Angeles, Orange, San Diego, Santa Barbara, San Bernardino, Riverside, Imperial and Inyo counties. Additionally, NOREAS currently supplies SCE’s Brea and Monrovia Offices with in-house biology and regulatory permitting staff, and regularly provides the following technical services to SCE through our Prime Contract: Waters of the U.S. and State delineation and permitting services; Census activates for federally listed flora and fauna; GIS mapping and database management services; Biological and storm water compliance monitoring; General avian, mammal, herpetological, and vegetation surveys; and Worker environmental education and outreach for SCE’s various business units.